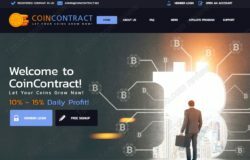 The About section on CoinContract’s website seems the be the output of an online translator, so it is hard to say what this company is supposed to be about. Seemingly it is trading cryptocurrencies. The main thing of course are the investment plans it is offering, with daily returns up to 15%. Is it a safe investment? You just have to read the CoinContract website to see that something is fishy here. No contact information, texts are not making sense, etc. Add to this the absurd 15% per day ROI, which means 450% per month. This is a number impossible to achieve in any legit business, only scams display such returns. CoinContract is showing a registration from the UK, but you should notice that it is only a few months old, so no real history to verify. What is even more important, is that Coin Contract is offering investment services, which means that it need to be regulated, it needs a licence from the FCA. 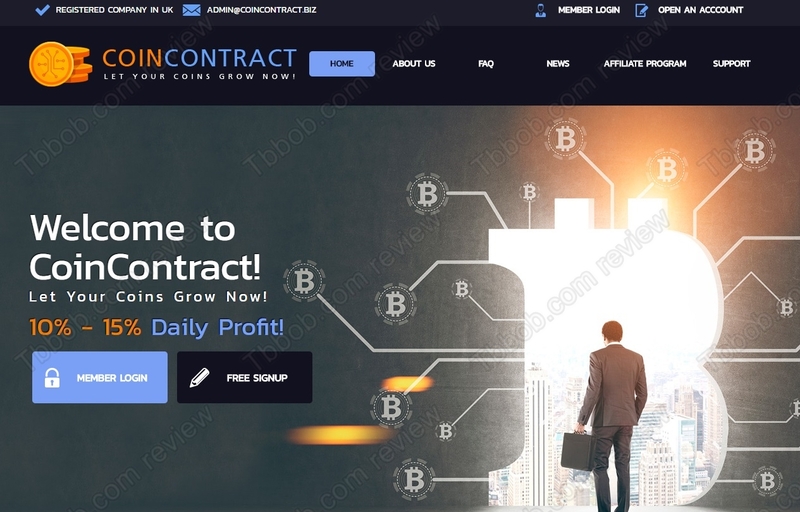 But as you can see on our picture, CoinContract has no licence, therefore it is acting illegally. Let’s put it straight, Coin Contract is a Ponzi scheme. It means that the company is not doing any real business, it is just collecting money and maybe paying some profits using new deposits for this purpose. Such a scheme is of course a scam that is flawed by designed, which means that it is going to collapse, it’s just a matter of time. CoinContract is a scam, it is going to collapse soon, and all the money will disappear. Stay away from it. If you are really interested in trading with cryptocurrencies, try a free demo account with a regulated broker. To stay safe, trade only with money that you can afford to lose, if you start trading for real.